The yield curve represents the different levels of bond yields as one moves from shorter-term to longer-term maturities. It describes the amount of yield that investors demand for bonds of various required holding periods. 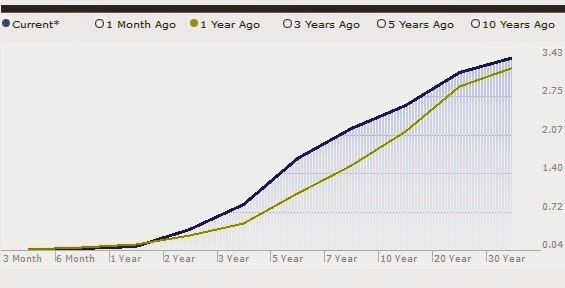 An example of what the yield curve below is a recent chart of the yield curve for U.S. Treasuries, with the current yield curve in blue and the yield curve from a year earlier in green. At the far left are yields for the shortest-term Treasuries (starting with the 3-month T-bill) and at the far right are the yields for the longest-term Treasuries (ending with the 30-year bond). To better understand why yields typically rise as one moves into longer maturities, keep in mind the relationship between the length of time that borrowed money is held and the amount of interest paid on that borrowed money. As a general rule of thumb, the longer money is borrowed, the more that is required to entice a lender--in this case, the person buying a bond--to make the loan. After all, who wants to lock up their money for a long period of time, at a fixed rate of interest, without being adequately compensated for doing so? Read more "The Yield Curve"
U.S. stocks inched up on Tuesday to all-time highs after the opening bell, highlighted by the S&P 500 conquering the 1900 threshold for the first time on record a day after benchmark indexes finished at record highs. Asset allocation can be an active process to varying degrees or passive in nature. Asset allocation strategies outlined in this article should be used only as general guidelines on how investors may use asset allocation as a part of their core strategies. Strategic asset allocation generally implies a buy-and-hold strategy, even as the shift in values of assets causes a drift from the initially established policy mix. With this approach, you continually rebalance your portfolio. For example, if one asset is declining in value, you would purchase more of that asset; and if that asset value is increasing, you would sell it. There are no hard-and-fast rules for timing portfolio rebalancing under strategic or constant-weighting asset allocation. However, a common rule of thumb is that the portfolio should be rebalanced to its original mix when any given asset class moves more than 5% from its original value. 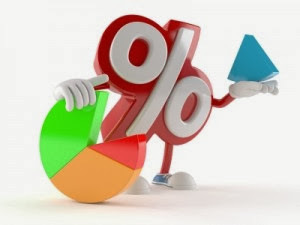 This method establishes and adheres to base policy mix, which is a proportional combination of assets (target allocations) based on expected rates of return for each asset class. The portfolio is periodically rebalanced back to those targets as investment returns skew the original asset allocation percentages. For example, if stocks have historically returned 8% per year and bonds have returned 4% per year, a mix of 50% stocks and 50% bonds would be expected to return 6% per year. The concept is similar to a buy-and-hold strategy, rather than an active trading approach. The strategic asset allocation targets may change over time as the client's goals and needs change and as the time horizon for major events, such as retirement and college funding, grows shorter. This strategy occasionally engages in short-term, tactical deviations from Strategic Asset Allocation strategy to capitalize on unusual or exceptional investment opportunities. It allows for a range of percentages in each asset class (such as stocks: 40-50%) to take advantage of market conditions. This flexibility adds a market timing component to the portfolio, allowing you to participate in economic conditions more favorable for one asset class than for others. Tactical asset allocation can be described as a moderately active strategy, since the overall strategic asset mix is returned to when desired short-term profits are achieved. This strategy demands some discipline, as you must first be able to recognize when short-term opportunities have run their course, and then rebalance the portfolio to the long-term asset position. With active asset allocation strategy you constantly adjust the mix of assets as markets rise and fall, and as the economy strengthens and weakens. With this strategy you sell assets that are declining and purchase assets that are increasing, making dynamic asset allocation the opposite of a constant-weighting strategy. For example, if the stock market is showing weakness, you sell stocks in anticipation of further decreases; and if the market is strong, you purchase stocks in anticipation of continued market gains. When establishing an insured asset allocation strategy, you establish a base portfolio value under which the portfolio should not be allowed to drop. As long as the portfolio achieves a return above its base, you exercise active management to try to increase the portfolio value as much as possible. If, however, the portfolio should ever drop to the base value, you invest in risk-free assets so that the base value becomes fixed. Insured asset allocation may be suitable for risk-averse investors who desire a certain level of active portfolio management but appreciate the security of establishing a guaranteed floor below which the portfolio is not allowed to decline. For example, an investor who wishes to establish a minimum standard of living during retirement might find an insured asset allocation strategy ideally suited to his or her management goals. With integrated asset allocation, you consider both your economic expectations and your risk in establishing an asset mix. While all of the above-mentioned strategies take into account expectations for future market returns, not all of the strategies account for investment risk tolerance. Integrated asset allocation, on the other hand, includes aspects of all strategies, accounting not only for expectations but also actual changes in capital markets and your risk tolerance. Integrated asset allocation is a broader asset allocation strategy, even though allowing only either dynamic or constant-weighting allocation. After investors were hurt badly by the loss during financial crisis of 2008, no one wants to go through an experience like that again. This has led to renewed interest in an investing approach called tactical asset allocation. These tactical strategies have been around for year. The tactical manager or mutual fund retains the flexibility to move quickly among different types of stocks, bonds and cash so the manager can participate in market upswings while avoiding much of the pain on the downside. Traditional, rock-star fund managers usually claim they can pick the best individual stocks, but tactical managers make a different promise. They are not interested in finding the best individual stock or bond. Instead, they offer some supersecret, black-box algorithm that can analyze macroeconomic forecasts and valuation formulas to identify the ideal time to get in and out of broad asset classes like stocks and bonds. This is nothing more than market timing. The problem is, none of us knows exactly when these turning points will happen. Past research shows us that traditional market timing doesn’t work. To demonstrate whether tactical asset allocation funds were able to deliver on their promise, Morningstar compared the results of 210 tactical asset allocation funds against the performance of a simple default investment choice, the Vanguard Balanced Index Fund (VBINX). This fund has a fixed allocation of 60 percent stocks and 40 percent bonds, and the managers make no attempt to change that allocation based on the direction they think markets are headed. Read more "Balanced Fund Triumphed Over Tactical Asset Allocation"
Investors are concerned that the Federal Reserve will unwind its quantitative easing program — the massive bond purchases that have suppressed yields and boosted stock performance. 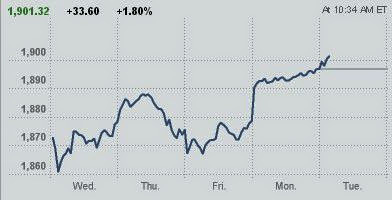 When bond yields rise as the U.S. economy improves and the Fed takes actions, how might it impact the stock market? What sort of stocks do you add to your portfolio and what do you trim? Read more "Where To Invest When Bond Yields Rise"
How do analysts arrive at fair value estimate for a stock, and how do they relate to the stocks rating? To determine a stock's fair value, analysts examine factors such as estimated future cash flow, competitive positioning, and even the degree of certainty the analyst has in making his or her evaluation. Analysts typically track companies within specific sectors and revise their fair value estimates whenever information becomes available that affects their outlook for a stock. A new product launch, a merger or acquisition, or a major competitor abandoning a market are some examples that could cause an analyst to revise a company's fair value estimate up or down. The process on how analysts arrive at a fair value estimate is outlined below. The first thing the equity analyst does is examine the company's fundamentals: sales, revenue, expenses, and so on. These are gathered from financial statements, industry reports, discussions with company management, trade-show visits, and other sources. Once the fundamental analysis is completed, the analyst proposes a rating of competitive advantage over its competitors for the stock. Analysts propose a moat rating of wide, narrow, or none for a company to determines that rating. Next, the analyst looks at historical data, along with the company's competitive position and future prospects, to forecast future cash flow. All this data is applied to a proprietary discounted cash flow model to arrive at a fair value estimate for the stock. Due to the specific characteristics of certain industries, special models exist for valuing the industries. This fair value estimate represents what equity analysts believe the stock is currently worth. 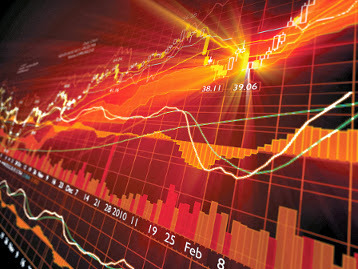 Read more "How to Estimate Stocks' Fair Values"